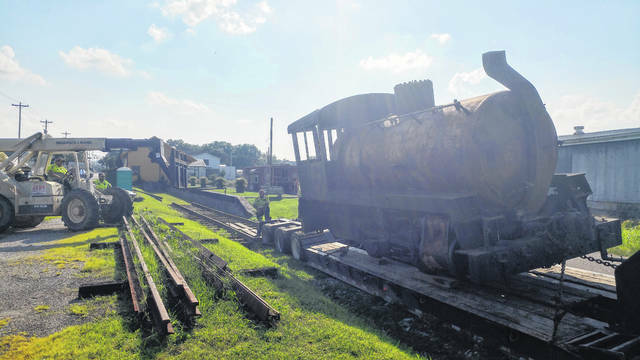 The Gallipolis Railroad Freight Station Museum loaded a 1945 Porter steam engine Monday onto its outside rails after acquiring it from the nearby West Virginia State Farm Museum. According to Museum Board Vice-President Jerry Davis, the engine did not have a fire box and was filled with steam. This allowed it to operate in areas where an open flame may be too dangerous for other steam engines. Museum board members say they anticipate to acquire the farm museum’s boxcar and caboose as well in the near future. Red’s Auto assisted with the endeavor.